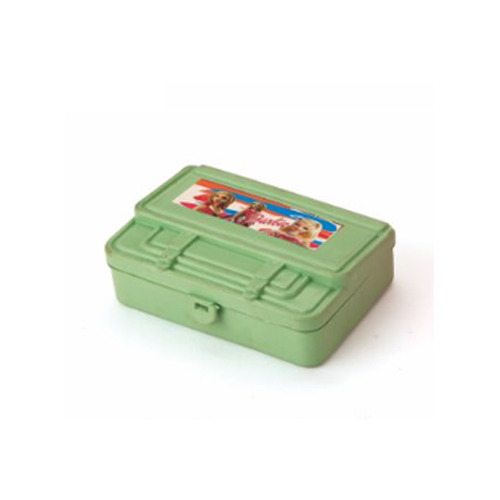 The Plastic Lunch Box provided by us is renowned for its sturdiness and durability. This lunch box is available to clients at highly reasonable market prices. This box is unbreakable. Established in 1998 at Delhi, we, Sangam Sales Corporation, are a highly acclaimed Manufacturer and Wholesaler of premium quality Plastic Mugs, Plastic Jugs, Plastic Container, Plastic Dustpan, Plastic Basket, Plastic Toothbrush Holder, Plastic Patlas, Plastic Bucket and many more. These are manufactured using high quality raw materials at our spacious infrastructure facility in strict adherence to industry specified quality standards. These containers are easily available to clients at budget friendly market prices within the stipulated period of time. These are manufactured using highly advanced technology and are acclaimed for their spacious design, sturdiness and durability. The containers provided by us are available to clients in a vast array of colors, shapes and sizes at economical market prices. These are commonly used in the kitchen for storage purposes. Leak proof and sturdy design makes it ideal option for storage purposes. Our products are inspected thoroughly on their quality by a tam of experienced and qualified professional quality analysts.